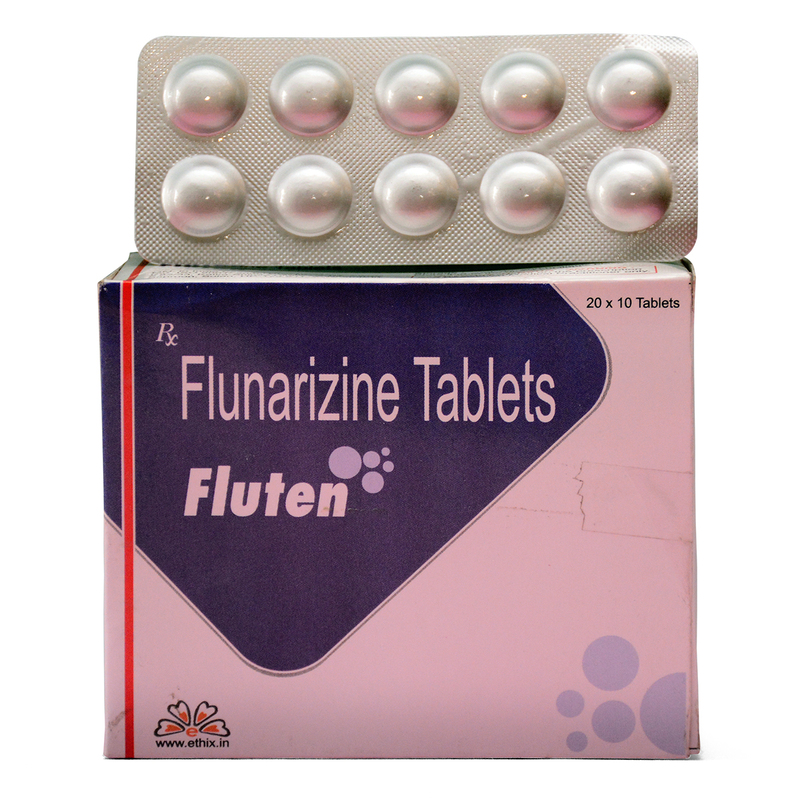 Flunarizine in Fluten to prevent migraine. It was initially introduced as a medicine to improve blood flow and is a medicine known as a calcium channel blocker. It has been mainly used in the treatment of dizziness, vertigo and prevention of migraine. 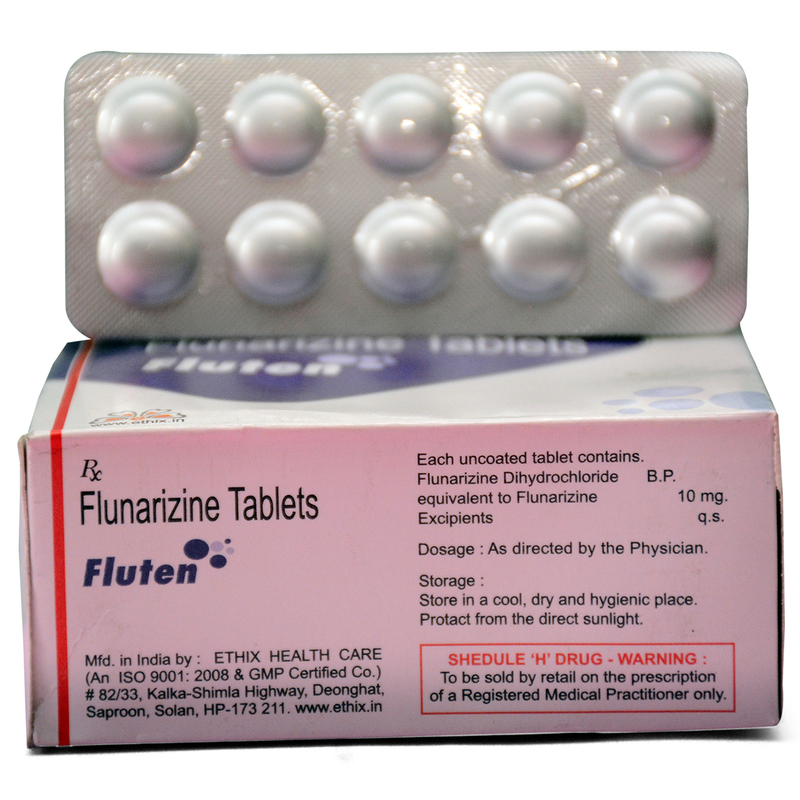 Description: Flunarizine in Fluten to prevent migraine. It was initially introduced as a medicine to improve blood flow and is a medicine known as a calcium channel blocker. It has been mainly used in the treatment of dizziness, vertigo and prevention of migraine. Dosage: The recommended dose is 10mgday at bedtime. It comes as a tablet to take by mouth, with or without food. What is Flunarizine in Fluten for? Fluten is a calcium channel blocker, prescribed for migraine occlusive peripheral vascular disease, vertigo of central and peripheral origin and as an adjuvant in the therapy of epilepsy. Flunarizine affects centers in the brain to stop headaches and dizziness. What precautions should I take when taking Fluten? If you have an allergy to flunarizine or any other part of this drug, tell your doctor if you are allergic to any drugs. Make sure to tell about the allergy and what signs you had. This includes telling about rash; hives; itching; shortness of breath. If you think there was an overdose, call your local poison control center or ER right away. Signs of a very bad reaction to the drug, these include wheezing; chest tightness; fever; itching; bad cough; blue or gray skin color; seizures; or swelling of face, lips, tongue, or throat. Can I take Fluten with other medicines?